A view of Hesperus Mountain from the trail. 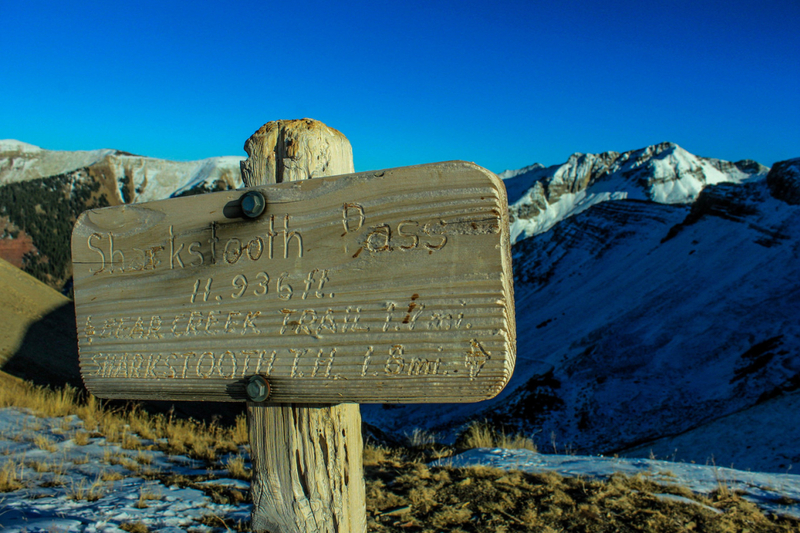 The Sharkstooth Trail leads to Sharkstooth pass with gorgeous views of the La Plata mountains. Two miles to the pass, and two back down to the trailhead. The trail gradually ascends to Sharkstooth Pass, the only serious elevation change is the last section of switchbacks. If you stop often and take the detour for the old mining operation, it could take about three hours, otherwise it's a pretty quick hike. Accessibility may vary in the spring and fall depending on snow levels. 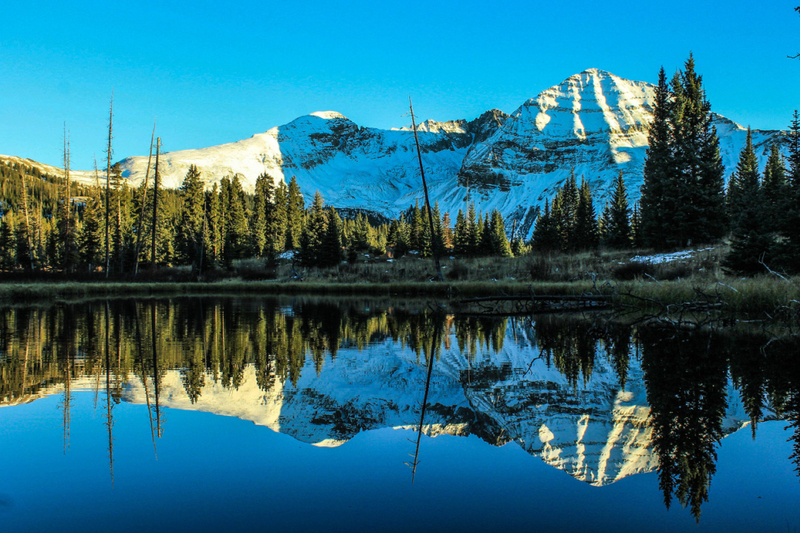 The Sharkstooth Trail is located deep in San Juan National Forest, about an hours drive from Mancos, Colorado. The trail is named for the craggy and jagged peak by the same name. Four wheel drive and a high clearance are required to get through the last mile of road to the trailhead, although you can park and walk the extra mile if your vehicle can’t handle it. Once you reach the trailhead, the hike is fairly easy and very pleasant. Sharkstooth trail provides very quick access to some amazing views of Centennial Peak and Hesperus Mountain, and a potential connection to the Colorado Trail for extended hiking. Sharkstooth trail is a wonderful way to spend an afternoon. The distance you have to drive just to get to the trailhead, becomes totally worth it for the quick and easy access to Sharkstooth Pass. From the parking lot it’s only a two mile hike through a moderately graded forest up to the pass. 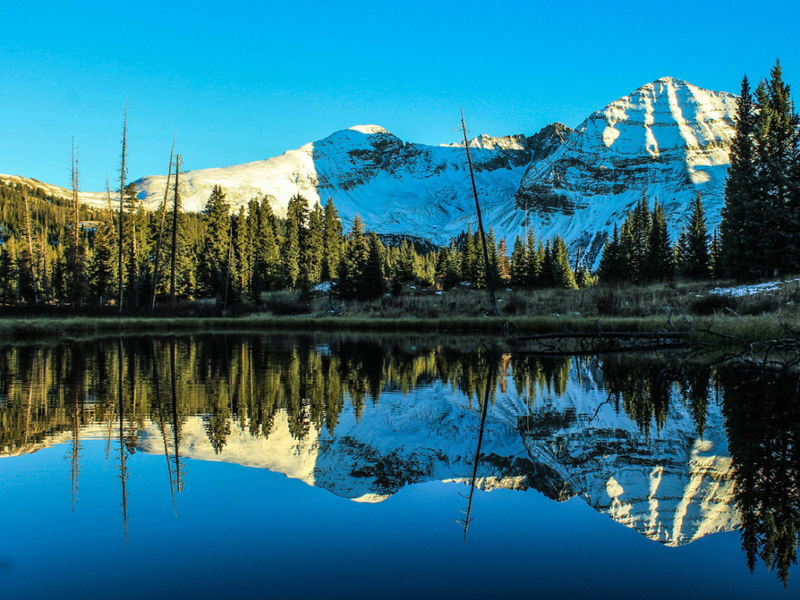 The first mile is through the forest with little visibility, but the second mile brings you up through meadows of flowers with amazing views of the surrounding peaks, including Hesperus Mountain. Once you pass the tree line the trail does get steeper, with short cutbacks to the saddle, but it only takes about 20 minutes reach the top from here. It’s amazing how quickly this trail provides access to the big alpine panoramas that are so sought after while hiking in the Rockies. Once you reach the end of the trail, at Sharkstooth Pass on the saddle between Sharkstooth Peak and Centennial Peak, is the greatest view of all. From here you have an up close and personal view of the Rockies, expansive views of the Colorado Plateau to the west, and a peek onto the other side of the saddle towards the Colorado Trail. Almost everyone will love this trail. If you don’t like fun or beautiful scenery I suppose this might not be the trail for you, but everyone else is sure to enjoy Sharkstooth. Those who aren’t serious hikers will appreciate this hike because it’s not very hard, but the payoff is still breathtaking. 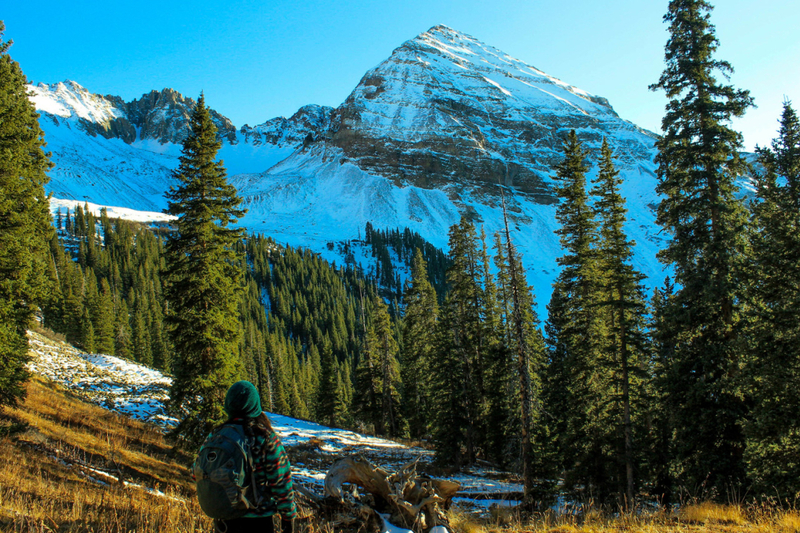 You don’t have to be an expert hiker to reach those expert level views on this trail. Even advanced hikers with an appreciation for nature will enjoy Sharkstooth as a fun shorter hike. The only hard part of the trail for real experts will be holding yourself back from following the path down the other side and connecting with the Colorado Trail to disappear for awhile. As you stand on the pass looking down, it’s a very inviting view. Sharkstooth really shines as a trail that the whole family can hike together. Kids, parents, and even active grandparents will not only be able to complete the hike, but will love the experience. There is even a short historic side trail that connects as a loop to the Sharkstooth trail that visits the ruins of an old mining operation. There are informational signs about the history of the area and photos of the original buildings following the short detour from the main trail. Sharkstooth trail truly has something for everyone. To reach the parking lot, from Mancos travel north on 184 for .2 miles and turn right onto West Mancos road toward Mancos State Park. Stay on this road when it turns into gravel Forest Service road #561. Turn right onto Forest Service road #350 after about 14 miles, and continue for another six miles, then veering right onto Forest Service road #346. You will start seeing signs for Sharkstooth here, so follow these down to the trailhead for the last mile. If you do not have a high clearance 4X4 vehicle, then park at the entrance to Forest Service road #346 and walk the extra mile. There are no fees here, but all U.S. Forest Service regulations apply.